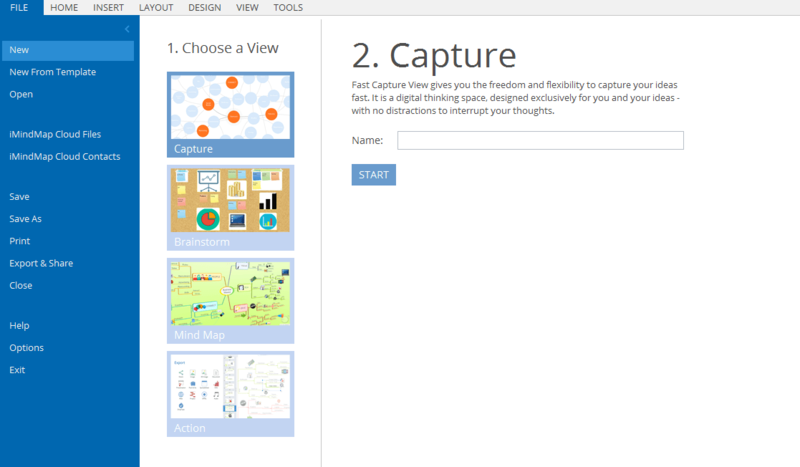 In iMindMap 9 we have introduced Fast Capture View - a perfect way to distil your fleeting thoughts into a digital web. 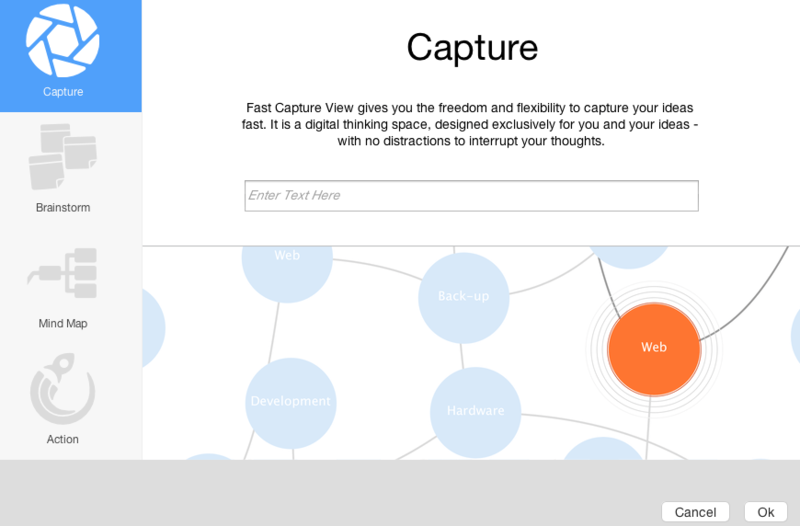 With self-organising bubbles and an array of formatting options, Fast Capture View revolutionises what is typically the initial step of the creative process. Click on the Fast Capture icon on the landing page of the software. You will now be in Fast Capture View - type anywhere on the canvas, then hit 'Enter' on your keyboard to create a new bubble. You can also add or remove bubbles by clicking on the 'Add' or 'Delete' icons in the main toolbar. In Fast Capture View you have the option to hide bubbles that aren't directly connected to the current bubble you have clicked on. This feature is called 'Show/Hide Ancestors'. Click on your chosen bubble. This will hide the ancestors to the idea you have clicked on - to revert this process simply click on the 'Show/Hide Ancestors' icon again. Linking each bubble in Fast Capture View is a digital string, or as we like to call it, an edge. You have 2 choices as to how you would like these to look, it's as simple as a click. Select the 'Toggle Edge Shape' icon. This will change the surrounding edge to either curved or straight - to revert it simply click the 'Toggle Edge Shape' icon again. You can modify the background of your Fast Capture with the built-in canvas options. Run iMindMap 9, opening Fast Capture View. Click on a canvas option from the drop down menu. This will now be applied to the canvas. If you would like to change it again, simply return to the 'Canvas' icon in the main toolbar and select from the options. Enter the name of your Fast Capture then click 'OK'. In Fast Capture View you have the option of hiding bubbles that aren't directly connected to the current bubble you have clicked on. This feature is called 'Show/Hide Ancestors'. Select 'Show/Hide Ancestors' in the main toolbar. This will change the surrounding edge to either curved or straight - to revert it back simply click the 'Toggle Edge Shape' icon again.